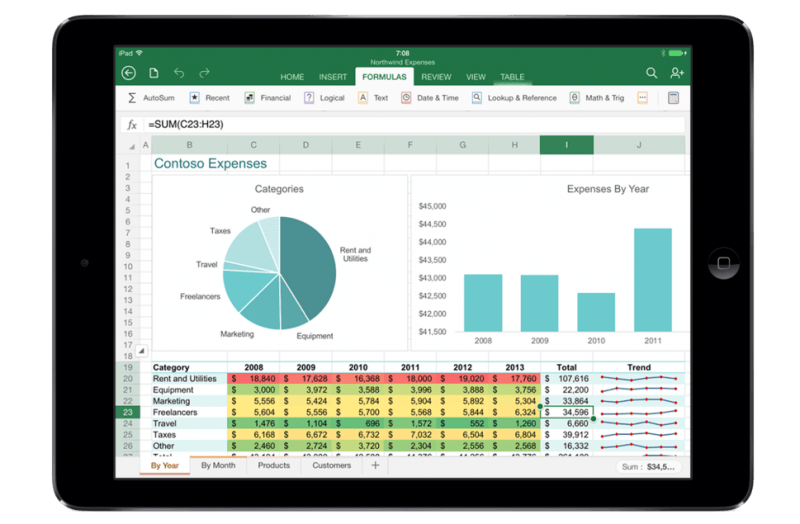 Microsoft is claiming that Office for iPad, which includes Word, PowerPoint, and Excel, has been downloaded a 27 million times from the App Store. That’s a massive figure considering the app has been out for just 46 days. General manager of Microsoft's Office Division Julia White made the announcement yesterday during TechEd, the company's IT and enterprise-focused conference, in Houston. Last month, a week after launch, the Redmond-based company tweeted that the app had been downloaded more than 12 million times. From the looks of it adoption -- or rather downloads -- aren't slowing down. The download statistic only references free downloads because the company has not revealed details on how many paid iPad Office subscribers it has. Office for iPad is not a free app for everyone, only for paid subscribers of Microsoft's cloud version of Office, Office 365, which costs about $100 a year. According to a TechCrunch, Word for iPad is the most popular app of the bunch, currently ranked 11th in the US and among the top 100 in 109 countries. On the other hand, Google Docs, which was released shortly after Office for iPad, has dropped to 23rd in the US on iPad.